Software-defined networking (SDN) will revolutionise the router and switch business and wipe millions off costs. So what’s holding it up? 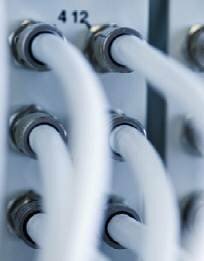 Software-defined networking will revolutionise the router and switch business and wipe millions off costs. So what’s holding it up? Software-defined networking (SDN) is the decoupling of the hardware layer and the control plane in network infrastructure. Traditionally, each router and switch on a network has software pre-installed that controls what it does, such as prioritising certain types of traffic over other types. This means that, if an organisation wants to change an aspect of the network, the routers and switches must be manually reconfigured. SDN moves that aspect of networking to a centralised management console, meaning changes can be made quickly and pushed out to the network in near real-time, without any physical adjustments to the hardware. This gives IT administrators much more control over their network infrastructure and makes it a far more flexible and agile part of the business. One of the issues with SDN is there is no clear, universally agreed definition for it. What is clear, however, is the benefit it can bring to enterprises. Although it is still very early days for SDN, its potential has led many in the industry to predict big things. Analyst group IDC claims the market will grow from $360m in 2013 to $3.7bn by 2016, while Gartner labels it a “Trigger Technology” in its 2012 Hype Cycle for Networking and Communications Technologies, under the heading OpenFlow – the open source protocol that essentially defines SDN. Joe Skorupa, an analyst at Gartner who specialises in advanced network infrastructures, says SDN provides a significant opportunity for disruption, as it means networking can finally catch up with other parts of the business that have progressed over the last few years. For example, he says it can take up to two weeks to put a new server on the network. Five years ago, no-one would have noticed because it would have taken two months to order, build, ship, receive and install the physical server. Now, thanks to virtualisation, a new server can be fired up in a matter of hours, but the networking aspect still takes two weeks. “The network is seen as a barrier to business value and agility by the business unit stakeholders,” Skorupa adds. “So when someone in marketing goes to the CIO about running a new campaign, the server guy can get a machine up and running in a few hours; the networking team says, ‘come back in two weeks’. That’s the wrong place to be.” Moving the control – and therefore the intelligence – away from the hardware means routers and switches will become commodities, which will provide great cost savings for users. That of course will have a knock-on effect for traditional network hardware suppliers such as Cisco and Juniper Networks. With an SDN architecture, companies will no longer be locked into one supplier’s products with switches, controllers, applications and so on all available from different companies. That will undoubtedly hit the profit margins of the likes of Cisco and Juniper. It is perfectly possible the network industry could fall from being a 60% gross margin business to something more like the server industry, where the margins hover between 10% and 20%. Unsurprisingly, Cisco and Juniper claim SDN is an opportunity for them, rather than a threat. Cisco’s UK & Ireland CTO Ian Foddering says the company has been active in the SDN market for a number of years. Looking at Cisco’s acquisitions in recent years, it is clear that software has been a major part of that strategy. Acquisitions such as LineSider Technologies, Pari Networks, Axioss and newScale contribute to Cisco’s software and management portfolio. Beyond acquisitions, Cisco has its Open Network Environment (ONE) platform, which offers customers the opportunity to reap the benefits of software-defined networking without writing off previous hefty investments in networking gear. “We’re aware that a number of businesses have already made significant investments into Cisco platforms,” says Foddering. “If you look at our ONE strategy what we’ve done is actually look to embrace that installed base that’s out there already to allow them to build SDN into their strategy through programmable networks.” The platform is made up of three main features: the onePK platform kit for developers, which includes a set of application programming interfaces (APIs) that work across various Cisco products; Cisco ONE Controller Framework, which supports OpenFlow; and Overlay Network Technologies, which enable virtualised workloads to directly control network services. Juniper, too, is not taking the threat lying down. In December 2012 the company acquired Contrail Systems for $176m. While that may not sound like a big deal, it is interesting to note the acquired company had no customers and had not shipped any products. The move was widely seen as evidence of just how seriously the established networking suppliers are taking this shift to software-defined networking. As well as that acquisition, Juniper has what it calls its six guiding principles for its SDN strategy, says Nigel Stephenson, head of cloud services marketing at Juniper. First, the networking software must be separated into four distinct layers, or planes: management, services, control and forwarding. Stephenson explains that this helps to optimise each plane individually. Second, centralise certain aspects of the management, services and control software to lower operating costs and simplify design. Third, Stephenson says it is vital to use the cloud for scalability and flexible deployments. Fourth is the creation of a platform for network applications, services and integration into management systems. The fifth principle is to standardise protocols. This helps when it comes to supporting different suppliers. Finally the sixth principle is to broadly apply SDN principles to all aspects of the network and its services. Stephenson says companies such as Juniper and Cisco had to react to the emergence of SDN: “It’s where the industry is going, and the alternative is to not progress as an industry,” he says. But while it may be where the industry is heading, it certainly is not there at the moment. Gartner’s Skorupa says SDN is nowhere on the adoption scale and other experts say similar things. The general consensus is that we are three to five years away from widespread adoption of SDN. Because of that, there are very few companies using SDN in any meaningful way at the moment; it is still so new that most businesses looking at it have not got beyond the evaluation phase. Scientific research centre CERN is one organisation that has moved beyond evaluation. The Geneva-based institute is working with HP to develop a load-balancing application, which will help to distribute the huge amount of data created by CERN across multiple devices such as firewalls and servers. Google is another company that has jumped early into SDN, deploying it across the vast network that links all its datacentres together. Speaking at the Open Networking Summit in April 2012, Urs Holzle, senior vice-president of technical infrastructure at Google, said the deployment has improved the way data moves through Google’s internal network. The company can now prioritise certain traffic, such as Gmail backups, to ensure they get through in a timely manner. Perhaps most impressively, Holzle told the conference that, in using SDN to intelligently manage the flow of traffic through its internal network, Google will eventually hit 100% network utilisation. In an industry where 30% to 40% is considered standard, that is a huge performance increase. While the likes of HP, Dell and IBM have also made their moves in the SDN sector by declaring their support for the OpenFlow standards, it is perhaps the start-ups in this space that are causing the biggest disruptions. As well as Cisco’s and Juniper’s acquisitions of startups, VMware spent $1.26bn on Nicira, which was previously the leading light of SDN startups. That mantle has been passed to Big Switch Networks, co-founded by Kyle Forster, a former Cisco executive. It sits alongside Plumgrid and Embrane – which were also founded by ex-Cisco employees – as the next big things in SDN. Big Switch Networks was founded in 2010 and at the centre of its portfolio is the Big Network Controller, which separates the hardware from the network, enabling IT to control the network from one management console. The company says software applications can be built on top of its technologies that can program and automate the underlying network fabric. The potential of its technology has seen the likes of Goldman Sachs and Index Ventures invest in the company. Software-defined networking may be generating a huge amount of hype at the moment, but the message is that, while it will mark a huge change in the networking industry – for suppliers as well as users – it is perhaps too early to get really excited about it. The advice is to make sure it is on your radar, but wait for the technology to mature before you dive in.